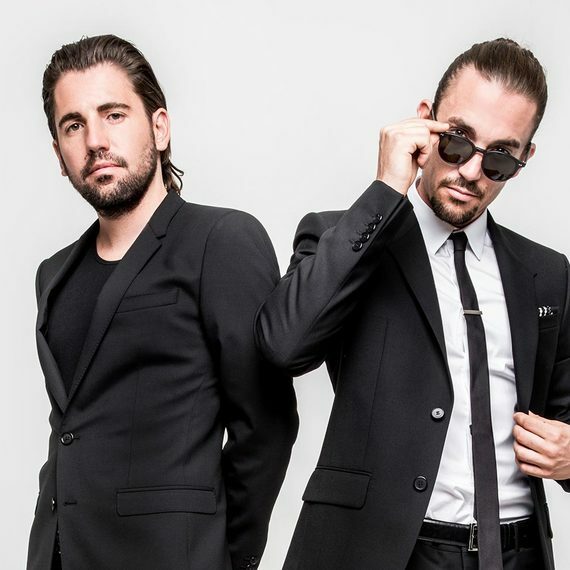 Sought-after producers, remixers to the A-list elite, award winners and #1 hit makers, the accolades Dimitri Vegas & Like Mike have already clocked up are equal to those most artists amass in a lifetime! Touring internationally, they are one of the hottest tickets in dance music, gracing the biggest venues & festivals with their explosive brand of EDM. Official residents for Tomorrowland (and now immortalised in the official Tomorrowland comic book), the pair continually set global charts and radio waves on fire with tracks like ‘Wakanda’ (officially the most played out track of the 2013 Ultra Music Festival), Beatport #1 smashes ‘Mammoth’ (which reigned at the top of the world’s leading download store for an incredible four weeks and was the most heavily played track of Miami Music Week 2013) and ‘Turn It Up’, ‘Madness’, ‘Project T’, ‘Phat Brahms’, ‘Ocarina’ and many more - clocking up no less than 7 Beatport No.1s in 2013. More recently their collaboration ‘Tremor’ with man-of-the-moment Martin Garrix scored them another Beatport #1, as well as picking up heavy support from guys like Zane Lowe, Danny Howard and Pete Tong on BBC Radio 1. The pick-up from all this is their swelling popularity which led them to win the 2014 Beatport Award for ‘Artist of the Year’ and ‘Track of the Year’ with their rousing club hit ‘Mammoth’, claimed the prize for ‘Best EDM DJ’ at the EMPO TV awards in Mexico, as well as picked up the awards for ‘Best Artist (Group)’ and ‘Best European DJ’ at the 29th Annual International Dance Music Awards (IDMA’s) ceremony. Alongside scoping two IDMAs, the Belgian brothers were also recognised with the imperious Gold Award for their smash hit track ‘Find Tomorrow’. More recently the Belgian duo leaped a staggering 32 places up the Top 100 DJ Poll to claim the #6 position in the 2013 edition of the globally renowned poll, adding further strength to the belief that Dimitri Vegas & Like Mike are one of the most in-demand acts on the planet.